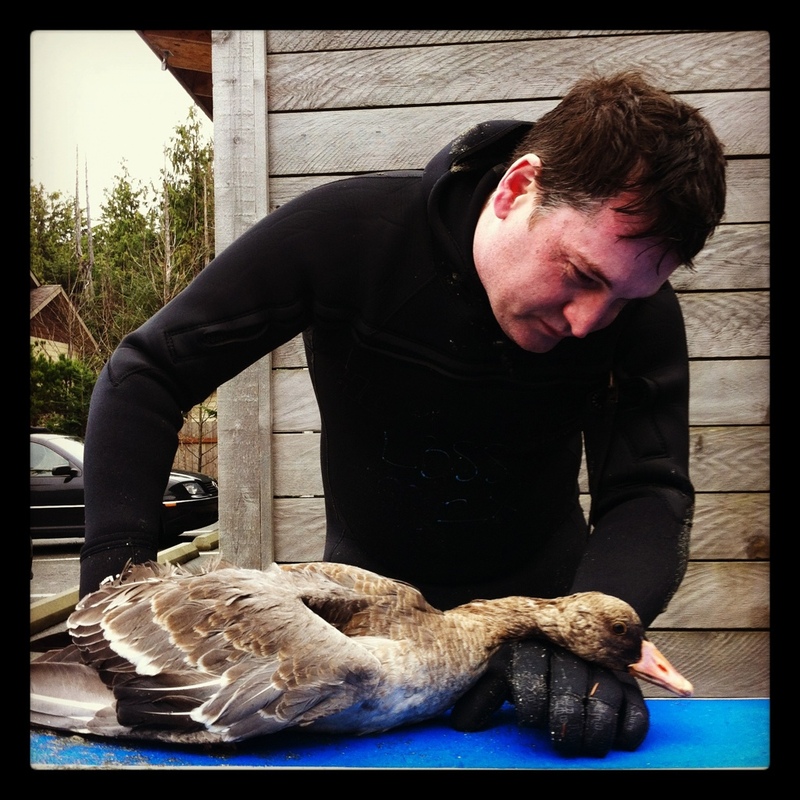 This duck was left out in the surf after a series of vicious but ultimately failed attacks by an eagle. Ken (pictured here) spotted the duck under water, lifted him up onto his board, and surfed him back to the shore and safety. Photo taken at Cox Bay, Tofino area. The duck might actually be a Canadian goose.